Dominant and family property with beautiful sea and hills view, composed of a main part of 160m 2 with 1 living room with fireplace and mezzanine overlooking on a very large terrace with a panoramic view, 1 open kitchen, pantry, laundry, 2 bedrooms with mezzanine including 1 master suite, overlooking a heated indoor pool with sauna. on the ground floor 2 apartments of type 4 independent but communicating with the main part and 1 garage. 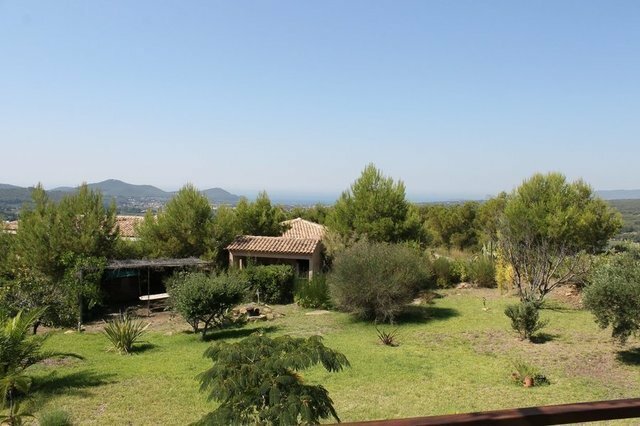 The whole on a nice ground of 2500m 2 with mediterranean essences and numerous fruit trees.